A static shot shows part of a landscape, a serene body of water in front of a mountain. 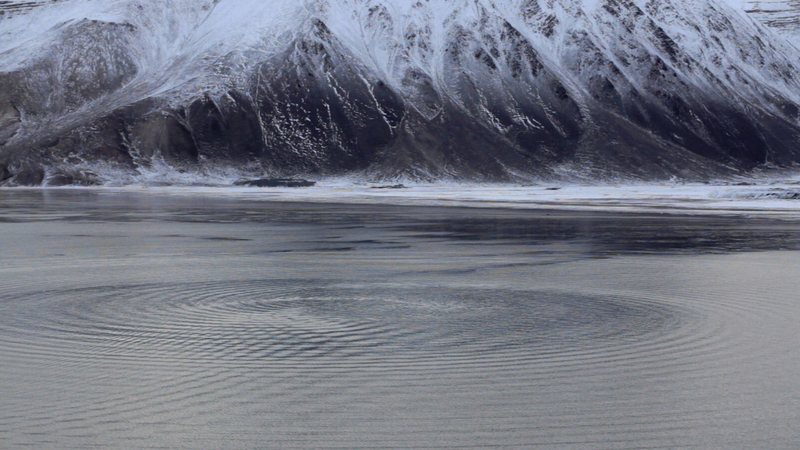 A motorboat enters the picture from the right, obeying the directions sent by radio and forming a spiral in the water´s surface. The boat then turns to the left and leaves the scene; solely its wake is visible for a time. Lukas Marxt was born in 1983 in Schladming/Austria. He studied at the University of Art and Design Linz from 2004 to 2009, and completed the Post-graduate program at the Academy of Media Arts Cologne in 2012. He lives and works in Cologne and Brussels.